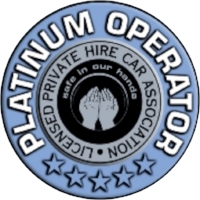 A team of dedicated, experienced and impeccably presented drivers is always at your service. All of our drivers, both male and female, are fully trained to our Professional Etiquette Standards and checked by the DBS (previously Criminal Records Bureau). Every new driver who joins our organisation, whatever their level of experience, goes through our induction training. This provides them with an in-depth understanding of the systems, procedures and ethos of our company. The Chauffeur Group prides itself on its client service. In order to ensure consistently high standards, all of our drivers attend a Professional Etiquette Training Course, which covers essential aspects of customer service such as appearance and interaction with clients. To ensure our clients receive consistent service and quality standards, we have the following checking procedures in place. SMS Message Service: Every traveller will receive an SMS message following completion of their journey requesting feedback on the quality of the service received. Spot Checks: We carry out frequent spot checks to supplement our mystery passenger scheme, confirming that our vehicles are kept spotlessly clean and that our drivers are punctual. Passenger Questionnaires: We send links to enable you to provide feedback on your journey, this enables us to specifically measure and maintain our service and quality performance. At the Chauffeur Group we understand how crucial it is for our clients to know that everything they say in the car will remain entirely confidential. All of our drivers sign a Confidentiality Agreement confirming that they will never discuss or disclose any information they hear during the course of their duties. The importance of this is stressed during our regular driver training programmes.